On Fridays before we head to the Fun Zone for snacks and beer, all the teams get together for a weekly round-up. It is a time for the teams to hear what everyone else has been up to and what to expect in the coming week. Earlier this week we had the opportunity to host a group of Birmingham City University students from the Future Media course. We ran a Search Marketing Workshop and introduced them to Found and our services. The session was a great success and the students came away with a strong understanding of both SEM and Found as a brand. 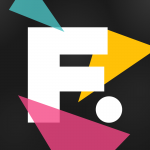 Next week, Found will be at Performance Marketing Insights London. As a sponsor, exhibitor and speaker there has been a lot to coordinate but everything is falling into place and the excitement within the team is growing because during the event we will be hosting a Ping Pong Challenge! You can practice your skills here over the weekend, but what really counts is visiting our booth over the two days of the expo to challenge a Ping Pong Bot and compete for a chance to win an iPad Mini 2! Jason Duke our Associate Director, Search will be giving a talk on day one entitled “How Email & Retargeting can turn SEO Traffic into Long-term Customer Journey Rewards.” He will explore how brands can continue conversations with customers to build a longer-term and more rewarding relationship. As always in digital the week was jam packed full of fresh learnings for our team, but perhaps the one that stands out most comes from our Client Services Team and isn’t really new at all. It began with the question “Should you be using Google+?” and quickly moved into common ground for SEO’s, the correlation vs. causation debate. Anyone worth listening to in the search marketing industry will treat these correlation studies with a pinch of salt, and as Searchmetrics will point out themselves – correlation does not equal causation. Simply put, just because a website has a high number of likes, shares, tweets, and plus ones, it does not mean that these signals are the cause for the high ranking. Of course it stands to reason that websites and pages which enjoy high ranking for certain keywords do so because of the quality of the content they offer. It also stands to reason that high quality content is likely to also have a high level of social signals.